For two years, I’ve been working on this living room travel themed wall collage and I’m so excited it’s finally done! Matt and I decided a while back that our souveniers from trips would be prints from local artists or scenes from the city we were visiting. 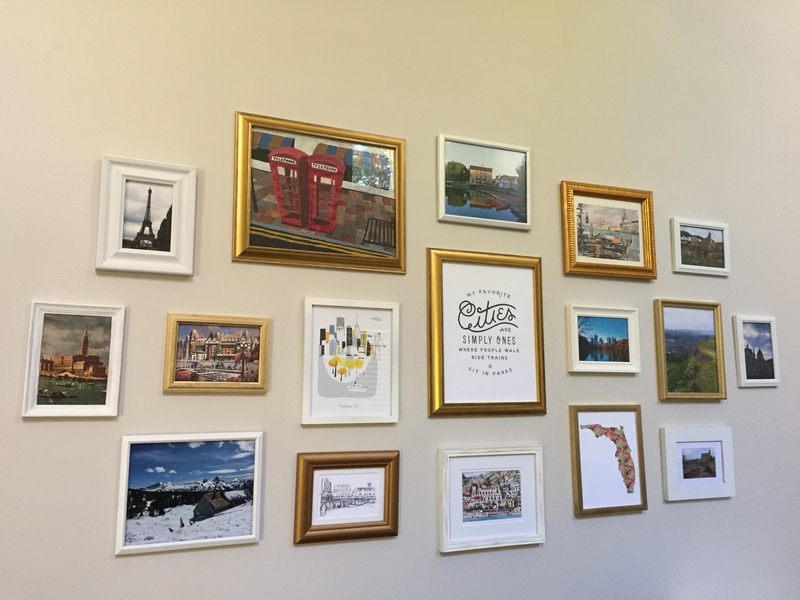 We also love to take photos of our travels, so we knew we wanted to create something that could incorporate our collected prints and photographs. However, for this collage, I did buy that Florida print from etsy and the framed quote in the middle was a gift. These wall collages are a lot more work than I first thought, but I’m loving the outcome. Also, I learned a few tricks along the way. So if you’re thinking of making a similar wall in your home, I hope this helps! 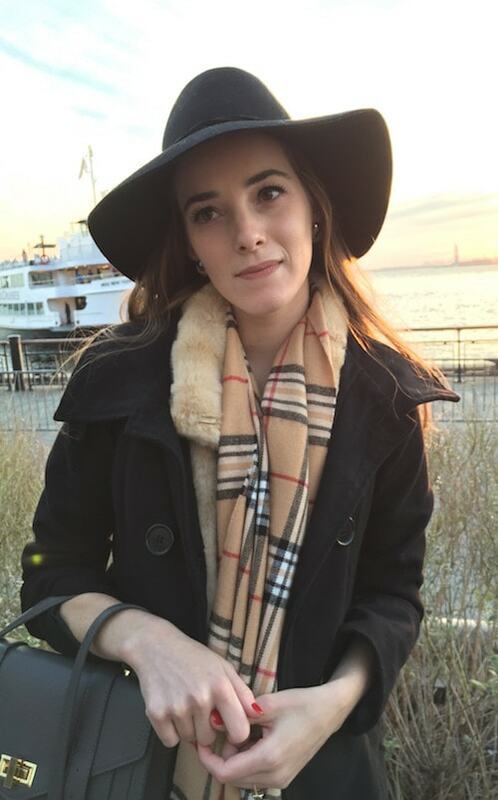 My most important tip…buy brown wrapping paper. 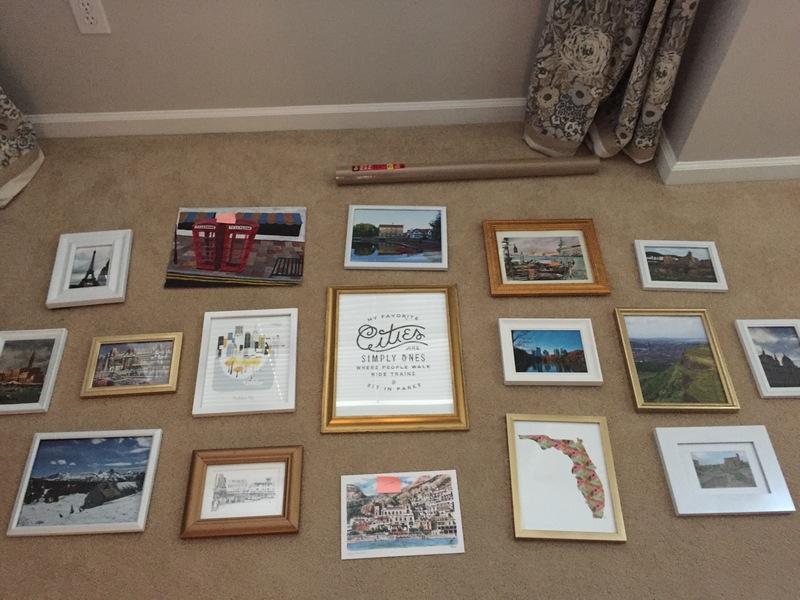 Cut brown paper to the exact dimensions of the framed photo/print. Write the name of each photo or color of frame so you know which photo you’re talking about. This is a LOT of work, but well worth it and makes it easy to rearrange the collage on the wall before you nail it down. On the brown paper, measure and mark exactly where you want the nail hole to go. That way, you can literally just nail straight through the paper and then easily tear down the paper. 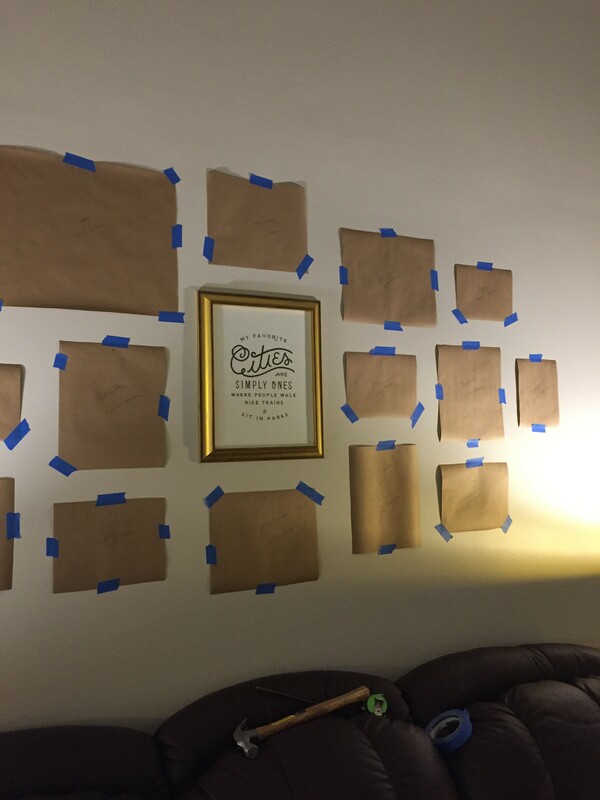 Use blue painters tape to stick your brown paper to the wall. It won’t pull off the paint and it’s easy to use. Lay out your collage on the floor first and take a photo of the layout. This helps you look at it in several different ways. 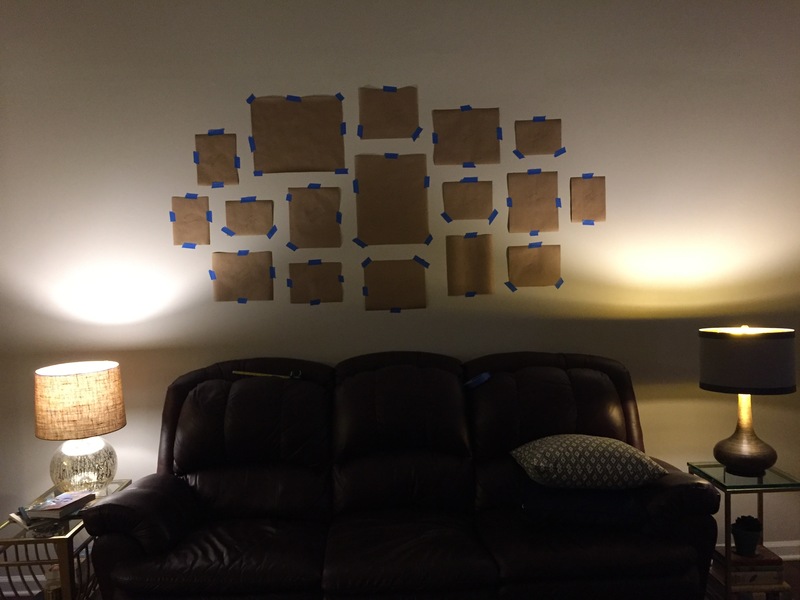 Measure the distance of your entire wall collage when it’s laid out on the floor and then figure out how to transfer those measurements to your wall. Find the center point of the wall and that’s where you want to start your collage. 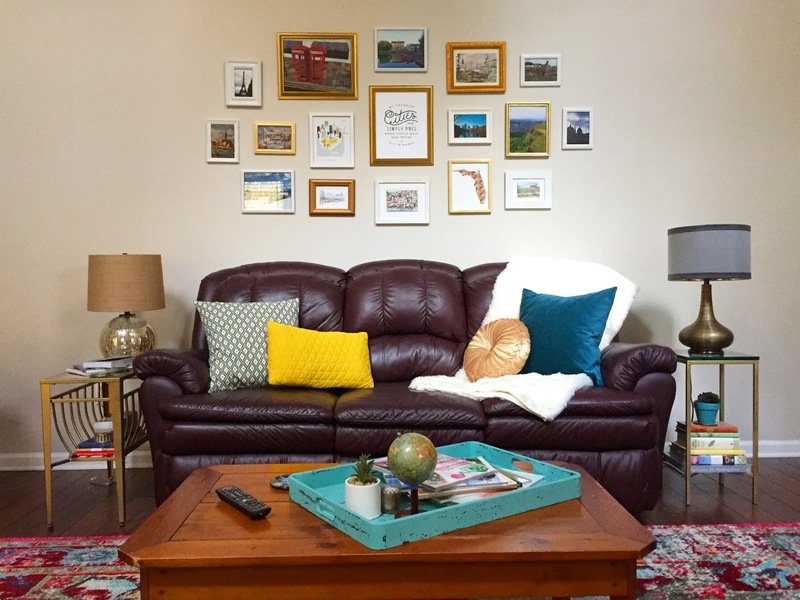 If you’re making the collage above a couch, be sure to start the collage at least 8 inches above the couch. You don’t want people to hit their heads or knock your frames over. Try to keep spacing between frames relatively even, although that can be hard with different size frames. I tried to keep 3-4 inches between each frame. 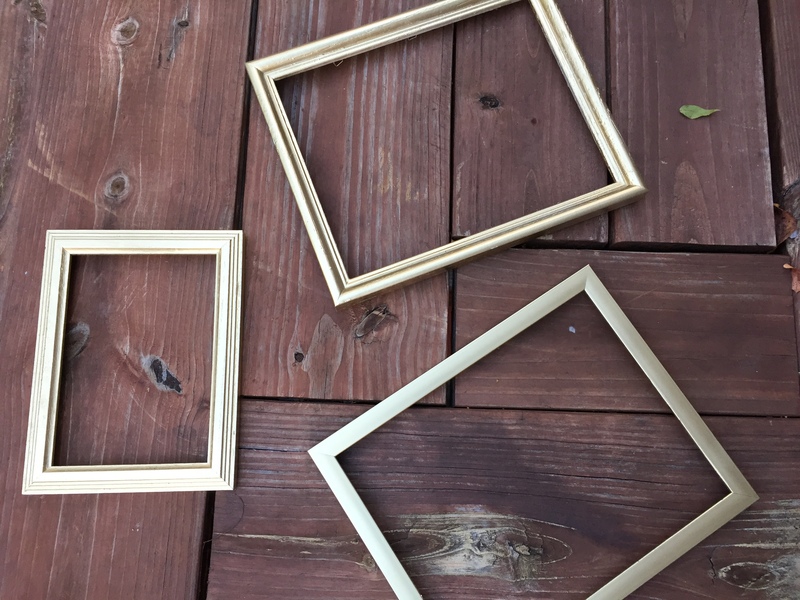 Frames are expensive, so check out Hobby Lobby’s 50% off sales and Goodwill for frames. I got several great frames at Goodwill. 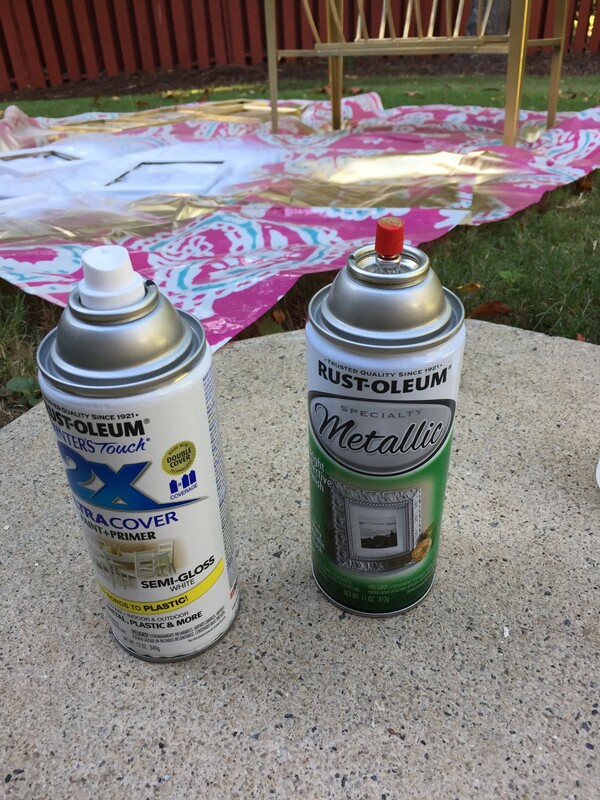 If you can’t find the color and size of a frame, just find the size you need and spray paint the frame. 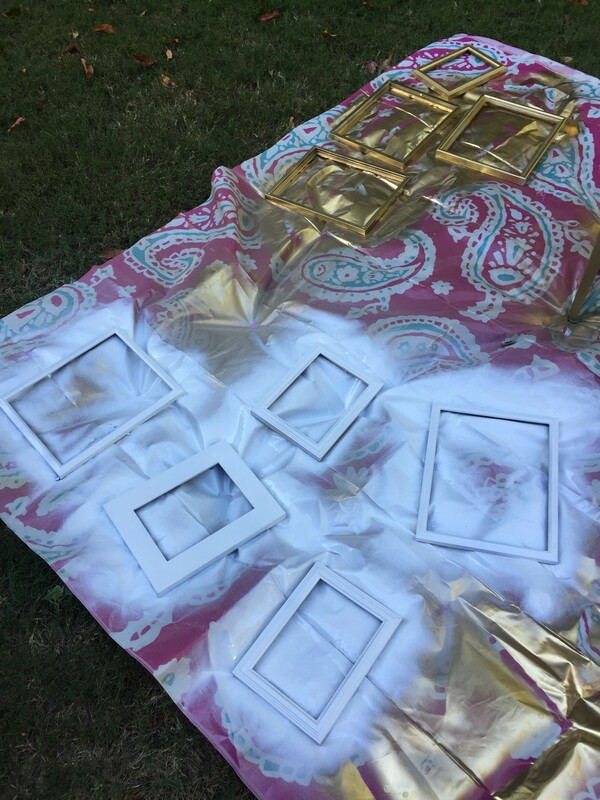 I spent an entire day spray painting picture frames because I knew I wanted only white and gold frames. If you do decided to use more than one color of frames, make sure you consider the layout when choosing frames. Using more than one color does create a bit more work for you, but I like the look of it much better than just using one color. For example, you don’t want all the gold frames lumped together and all the black frames lumped together. It takes a lot of moving around frames and photos to get the correct look. Mainly, you just want them evenly dispersed throughout the collage. Essentially, you want to treat this like one big piece of art, so you want it to all go together well. Side note: I left space at the ends of my collage so I can replace and expand the collage when we add more travel prints to our collection!